"If there is something that ennobles and justifies colonial expansion", said Lyautey, "it is medical activity considered as a mission or an apostolate". The objective assigned to medical action in French colonisation is, in 1900, the protection of the health of tens of millions of persons all over the world, distributed over tens of millions of square kilometres. When it finally ends its activities, has the Colonial Health Service fulfilled its mission and, in doing so, "ennobled" French colonisation ? An assessment must take into account the means used. They have always been relatively modest. In all, a few thousand physicians, a few hundred chemists and non-commissioned officers doing nursing, some dozens of officers occupied with administration... budgets allocated parsimoniously ! However, in three quarters of a century, from 1890 to 1968, the improvement in health and living standards in the French colonial territories is remarkable. The latest knowledge and means of procedure are handed over to the newly independent states. - The establishment of an important system of medical infrastructure of proven efficacy. - Numerous native personnel in the process of being trained for health service. - The acceptance by the populations of methods derived from scientific reasoning. - The decline or disappearance of the great endemics, which was held as the primary objective. - The progress in health statistics. - The improvement in the quality of life as a result of better health. Criticisms have been made and are still being made today, so easy it is to imagine one could have done better. Much more numerous and realistic are the tributes rendered in gratitude for these accomplishments by the countries that have benefited and by foreign experts. The confrontation of two different cultures being always "a matter of giving and taking" (A. Césaire), the colonial medical practice of physicians and chemists from Europe does not fail to engender positive aspects in their own lives. In 1960, the handing over of responsibility in health matters to the independent states takes place smoothly. The microbiological revolution is a result of the discoveries of Pasteur, Koch and their students. In a few decades, the pathogenic agents responsible for deadly diseases that decimate tropical populations, the insects that transmit them and the modes of contamination are identified. Vaccines and serums are invented. The different sections of this website give an account of the medical and scientific discoveries that have permitted the elimination of threats of diseases and to end the reputation these countries have of being harmful to health. - The discovery of the plague bacillus by Yersin*, a worthy successor of another French military physician, A. Laveran, the discoverer of the malaria agent. - The discovery of the transmission of the plague by fleas in rats. - The invention of vaccines, especially against two deadly diseases, Plague and Yellow Fever; and the BCG vaccine against Tuberculosis discovered by Calmette* and Guérin. - The formulation of serological tests to diagnose Sleeping Sickness and anatomical-pathological tests for other illnesses, in particular Yellow Fever. - The selection and the adaptation of widely used surgical techniques. With units all over the world, a great network of health establishments was put in place. When Independence dawns, France leaves on the territories where it has exercised influence, more than 4 000 diverse health establishments in full activity. Among them, there are 2 500 dispensaries or health centres, for the most part in rural settings, 600 maternity centres and 216 hospitals of which 41 are great edifices, without mentioning specialised centres, supply pharmacies and educational establishments. As for the fifteen colonial Pasteur Institutes, they were all founded and kept functioning by members of the Colonial Health Service. However remarkable the legacy of property may be, we must insist on the operational procedures put in place and tested during the colonial period and bequeathed to the new states. It is, above all, a collective and preventive approach, said to be for the masses, having mobility as its main constituent: travelling around to be in contact with populations and patients. This is the strategy used in the combat against the endemics needing the greatest attention, the Jamot* method, which was conceived in order to fight Sleeping Sickness. At the time of Independence, the organisation and the means are in place: parking lots for vehicles, depots for medicine, analytic laboratories, necessary material, teams of native personnel, procedures for making populations sensitive to the issues and to attract them, etc. This mobility is the rule too in the polyvalent training sessions of the AMI. Every week, on fixed days, the physician of the district and the head nurse on duty go out on a tour of consultation around the big villages of the area, which means having vehicles in good condition. Particular attention is paid to maternal and infantile protection. In all French-speaking African states south of the Sahara, except Guinea, and at the request of the governments, colonial physicians and chemists remained at their posts, long after Independence, while awaiting the taking over of responsibilities by native officials. Two walls of dead silence have hidden the gigantic progress accomplished, one that pushes it away out of sight and one inspired by discretion. Everybody goes about their business, in all tranquillity, while observing the strictest silence. With its zeal for education, the Colonial Health Service, concerned about protecting the health conditions of populations always and everywhere, fixes as a priority the training, in the territories, of native collaborators. This is done not with the intention of distributing diplomas or academic knowledge but with the pragmatic purpose of having at its disposal excellent auxiliary workers, experienced in current practice. It opens professional schools where practical know-how takes precedence over erudition. In the beginning, unskilled workers are trained on the job to do bandages on infected wounds and the frequent varicose ulcers. As schooling develops and the levels of instruction progress, auxiliary nurses are trained with special courses and then, in the schools, male nurses are trained and, some time later, female nurses. Then follow the schools for auxiliary midwives which are branches of the schools of medicine and pharmacy. These, in their turn, become university faculties. 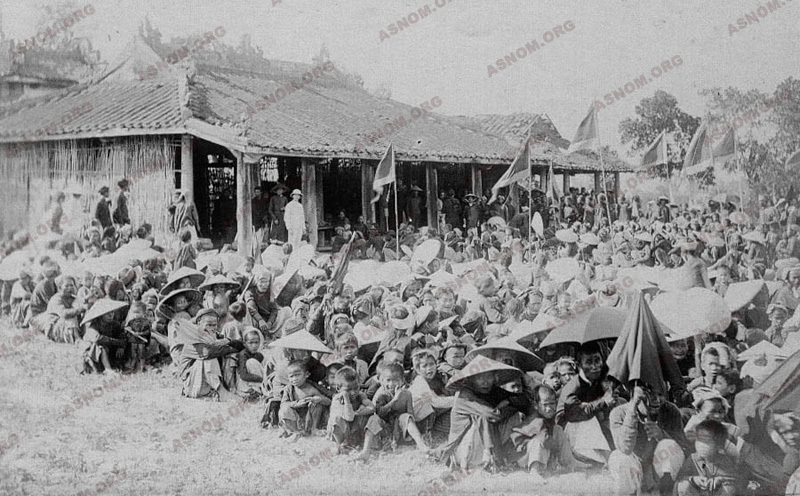 At the time of Independence, many high-ranking Indochinese, Malagasy and African medical officers are in activity. They have acquired, by contact with colonial physicians and chemists, an enriching experience. In 1961, of the 608 practitioners working in Madagascar, more than two-thirds have been trained in Antananarivo. 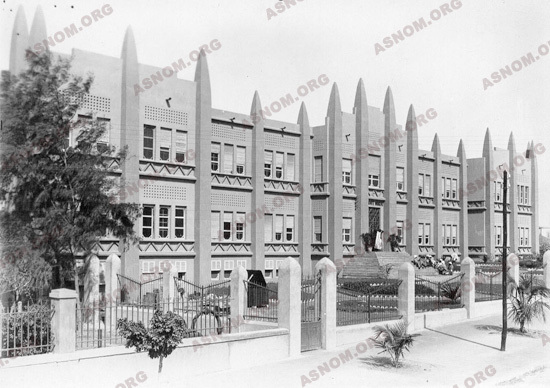 As for the Dakar School, during its existence, from 1918 to 1953, it awarded diplomas to 582 physicians, 87 chemists and 447 midwives. In most of the territories, native physicians and chemists are more numerous than the French and, everywhere, native midwives outnumber their colleagues from Metropolitan France. France has set an example in this domain. The historian, H. Deschamps, declares that in the Belgian Congo "at the time of Independence, only thirty Africans hold university diplomas". More important even than their professional competence, the profound humanity of these practitioners must be insisted on. These schools are real breeding grounds for exceptional individuals. After Independence, many of them become not only Directors of Health Services, Professors or Deans of Faculties, but also parliamentarians, ambassadors, ministers, heads of government and even heads of state. Every health programme implies the active participation of the populations concerned. This action is said to be bilateral. In fact, it is impossible to protect the health of individuals against their will or without their knowledge. In any case, this support is obtained neither at once nor with ease. Is a village being ravaged by a plague epidemic ? The native witch-doctor and the elders discern in it the wrath of divinities offended by the intervention of evil spirits. How can they be made to understand that, in the opinion of the "Whites", the real cause is an invisible microbe transmitted by a fleabite ? That protection can be obtained not with incantatory rites but by giving pills to those affected ? How can they be forced to submit ? Authoritative measures are followed by slow comprehension and acceptance. The first teams for vaccination, when they are not greeted with a flight of arrows, arrive in deserted villages. Warned by look-outs, all the adults have fled. The fact is, they have been tormented by the passage of tax collectors and officers bent on recruiting native soldiers, which has succeeded the incursions of freebooters, slave traders and other unscrupulous traffickers. Little by little, with the intervention of native doctors and nurses, the necessity and the success of these medical tours are acknowledged. The presence of the population at meetings is no longer the result of threats and coercion. Their support is often based on a conciliation between Native and European medicine. "It's better to have two medicines than one" is a dictum in Black Africa. This does not always have a positive effect. Thus, in a big modern Maternity Hospital, one regrets, from time to time, the occurrence of cases of tetanus neonatarum. The explanation is that the sterile bandage applied by the midwife on the umbilical scar has been removed and then re-applied by the grandmother of the woman who has given birth, in order to comply with the custom of rubbing a lump of ritual substances mixed with clay on the wound, thus infecting the new-born baby. After decades of rivalry, the conflicts between traditional practices and modern medicine have ceased. At the time of Independence, the quasi-totality of native populations willingly accept the health programmes. Some figures and quotations to illustrate to what extent, wrote J.P. Biondi, "health problems were a source of worry". In Saint-Louis, the capital of Senegal, "frequent epidemics of yellow fever decimate the population periodically (1830, 1837, 1848, 1859, 1867, 1869, 1878, 1881, 1883), especially the Europeans". In 1881, the correspondent (from Bordeaux) of the Paris Society of Commercial Geography writes : "The epidemic rages without mercy... The few employees of European commercial establishments who haven't yet contracted the disease, flee as far as possible. One admires, in the midst of these awful conditions, the devotion of the Head Physician Noury, always at the bedside of patients, full of knowledge, sang-froid and energy (...) In two months, 209 of the 264 patients in the military hospital had expired...". Sixty years later, French followers of Pasteur in Dakar perfect the first effective vaccine against Yellow Fever, thanks to which the disease will be checked. Since 1940, not a single case of Yellow Fever has occurred in Saint-Louis. 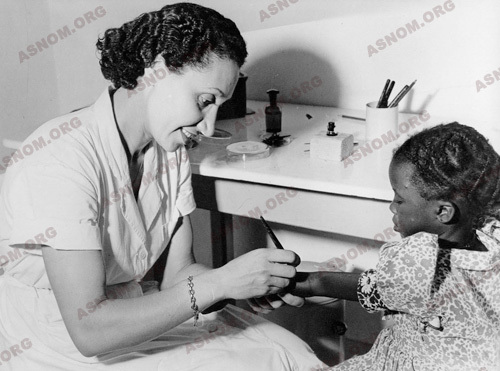 In less than twenty years, eighty million doses of vaccine have been administered in Black Africa. As M. Martin* writes : "Great pestilential diseases which, until the Second World War, decimated tropical regions are on the decline everywhere". If Smallpox has become a disease of the past, it is due to the massive vaccination campaigns undertaken from 1900, when this practice was not yet obligatory in the country of its inventor, the Englishman, Jenner. Plague epidemics in Madagascar have not been able to progress after the invention by Girard* and Robic* in Antananarivo of the anti-plague vaccine. 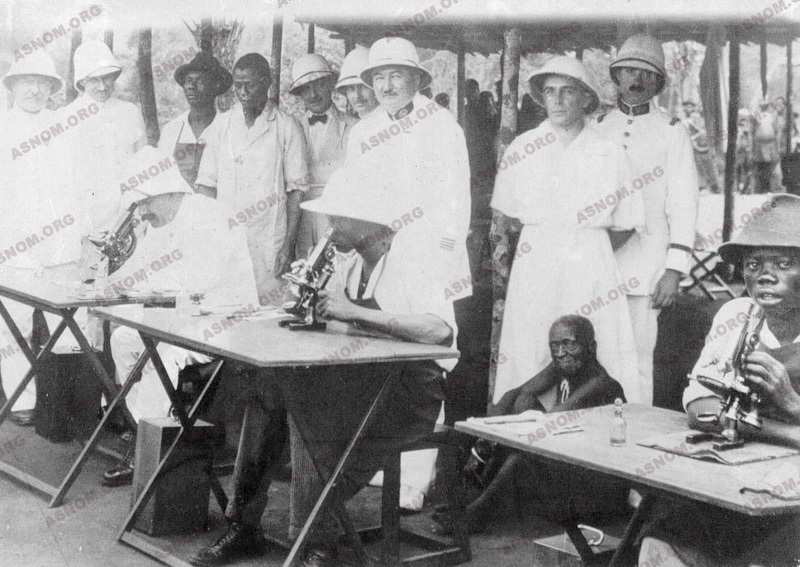 The decline of sleeping sickness has been spectacular: from 1934 to 1944, forty million Africans were examined and 400 000 cases detected and treated. Onchocercosis, the sinister agent of "river blindness", shows a distinct decline. In the Lake of Man (le bassin de Man) of the Ivory Coast where 95 % of adults and 50 % of children had been attacked by the parasite, the rate of infection was brought down to less than 1 % in 25 years. It is the same with most of the other great tropical diseases. In the course of the 20th Century, the population of the French colonies increases considerably, tripling or even quadrupling in certain regions. This is undoubtedly an aspect of a world-wide phenomenon, but it may well be that the health measures taken, by aiding female fecundity, by neutralizing the great endemics and reducing the mortality rate, especially that of children, have also been somewhat responsible. In 1900, life expectancy in French Africa is around 30 to 35 years. About 1970, it is 48 years and, at the end of the century, 58 years (instead of 75-80 years as in Europe). According to official statistics, there are, in the French West African Territories (AOF) in 1926, 13 483 000 inhabitants and in 1955, 18 747 000. In the year 2000, the 60 million mark has been passed. The rate of annual growth is about 2.5 to 3 %, which means a doubling of the population every 30 to 35 years. Thus in Senegal : 1.7 million in 1926, 4 million in 1960, 9 million in 1999. - 1925 : 250 in a thousand (as against 100 in a thousand in France). - 1965 : 125 in a thousand in rural zones, 70 out of a thousand in urban areas (as against 20 in a thousand in France). The improvement in health conditions is not only due to the intervention of the medical services. Thus, in order to reduce unhygienic conditions and the death rate, many undertakings other than the mere establishment of a dispensary are involved. For example, the founding of a school to instruct girls in the rules of hygiene or the building of a road to end the isolation of a village and facilitate food supplies, the sinking of wells to increase water supplies, the developing of agricultural production and the improvement of nutrition... In this way, all the services contribute towards ameliorating standards of living and the quality of life and rightly claim the merit for it. Besides, in tropical climates, all kinds of creatures - winged, aquatic and terrestrial - links in the transmission of great endemics - are to be met with. Eliminating them or chasing them away involves considerable work of excavation and deforestation. Thus the marshes where mosquito larvae proliferate are filled up, waste matter is deposited at a distance from habitations, rodents hunted, the foliage that shelters tsetse flies is cleared, etc... The physician indicates what has to be done, but it is the other services that accomplish the tasks. 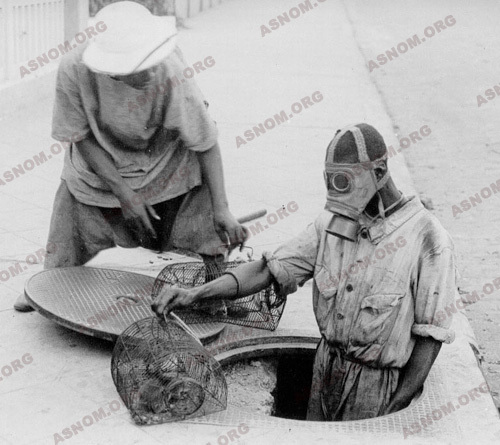 In towns, the fight against insects and rodents is confided to the hygienic service which tracks down mosquito breeding sites, stagnant pools, defective water pipes... and fines those who contravene sanitary instructions. In the districts where living conditions have been improved, scorpions, flies and rodents become rarer and rarer. Drinking water becomes available as well as electricity, mains drainage, and septic tanks. Trucks that collect domestic waste circulate. With the advent of the refrigerator, real comfort is attained. But around the urban centres and the capitals, there remains a circle of anarchic dwellings inhabited by people from rural areas, attracted by the mirage of the city. In these slums, hygiene is worse than in the villages they have come from. ). At the present time, we, (the English), have no reason at all for pride when the French medical efforts are compared with our own in our former colonies" (The Times - 1962). "I am steadfastly grateful to these officers of the Overseas Colonial Health Service who have worked so courageously and with so much devotion in the service of the populations of Black Africa. They have trained us to take on our responsibilities with rigour and discipline". "Who has done better and where ?" "The Medical schools of Bordeaux, Lyon and that of the Pharo had succeeded in creating a new type of physician : one who is competent, used to working in difficult conditions, often in the bush, without minding the effort required nor the pain experienced. Many are those who had acquired international reputations... (Sicé or Vaucel, for example). These physicians of the colonial troops played important roles in the Health Service of liberated France (France Libre)... I can see again such personalities as Montfort, Gillot, Chauliac, Chavenon... spending all night operating on wounded patients... Later, at the Pasteur Institute, I encountered another aspect of colonial physicians... They have put up, all over the world, the incomparable network of Pasteur Institutes... I am not sure that France realises the importance of the instrument it has been thus granted... 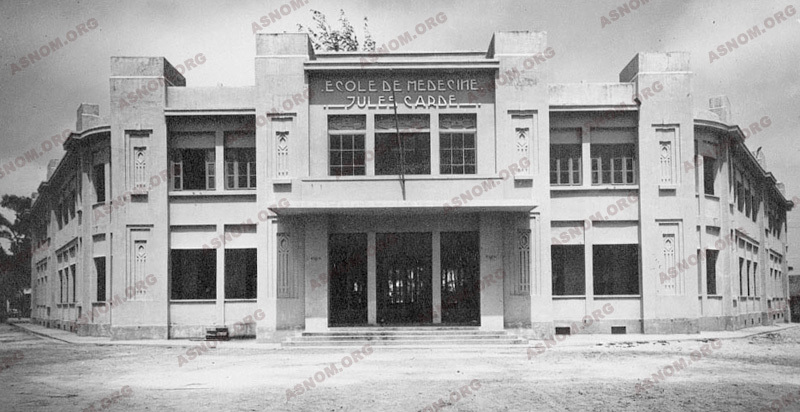 Many people owe a lot to these physicians trained at the schools of Bordeaux, Lyon and the Pharo in Marseille". Paris 1985. My homage to all the physicians of the Colonial Health Service for their active contribution towards the eradication of Smallpox. This Service prides itself on having been, for the impoverished all over the world, "a beautiful image of the true face of France". While serving indigenous populations, working together with native collaborators, has not its greatest merit been the clear expression of solidarity with individuals and people of different cultures ? But, above all, the measure of the gratitude of the populations is to be observed in their esteem and appreciation, in the humblest expressions and the smallest presents offered. Graignaire* has passed on these words of an old Cameroonian chief : "The great disease (Sleeping Sickness) arrived... We were all going to die when the doctor (Jamot*) came along with his medicines. Thanks to them, we will one day become as numerous as we were before". The authorities and the medical staff have not been forgotten, in spite of the unfortunate ups and downs and the sombre times which sometimes preceded Independence. Thus Vietnam, despite the fierce fighting which, during ten years, made it an enemy of France, continues to remember Yersin* and, in March 1991, a symposium was organized in Nha Trang in tribute to his memory. In Psychiatry, the trustful collaboration with the native practitioners of traditional healing has helped in the progress of ethnopsychiatry and the discovery of the importance of the socio-ethnic group in determining and treating mental troubles. Europeans thus acquired a new perception of mankind. 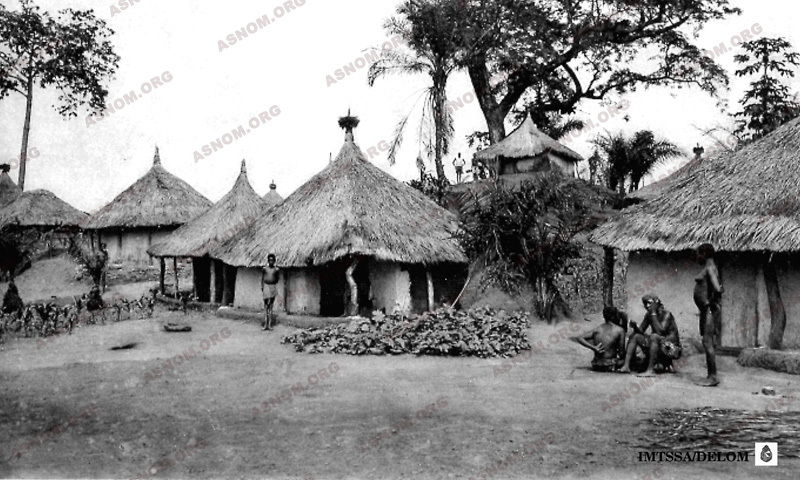 By living amidst different peoples, behaviour patterns were acquired or modified. One cannot ignore the extreme courtesy of the Indochinese, the good humour of the Polynesians, the patience of the Malagasies, the laughter and wisdom of the Africans. Take the case of this literate leper who, having lost most of his fingers, replies to the doctor who expresses sympathy : "You know, Doctor, as long as one is in good health !". The "colonisers" themselves agree that their working conditions, the vastness of the territories under their responsibility, the distance from France, their isolation in the "bush", the urgent problems that must be solved alone - all these things developed their capacity to take the initiative and make decisions and enriched them psychologically. Voelckel* declares : "Lucidity, open-mindedness and tolerance are very often the rewards reaped by being in contact with those who benefited from our activities". The most essential change and the most profound is in the domain of human relationships. The spirit of solidarity takes over from the individualism so common in Europe. Besides, twenty or thirty years of reciprocal confidence and esteem, gratitude for a cure or the relief brought to sufferers, create permanent bonds of attachment. When a colonist leaves these countries, some part of himself is left behind. Richet*, one of the great colonial physicians, writes to his patients : "We don't recover from your "enchanted tropics", nor from yourselves. But isn't there a bit of conceit in our affection for you, not only for what you are but also - and especially - for all the good we have done you?". Most of the newly independent countries are unable to cope with the tasks of ensuring the payment of salaries to all the personnel, making the whole health system, handed over by France, function at the expense of the state and undertaking new enterprises. What has been inherited is difficult to handle. The fight against the great endemics suffers because of it. Less attention is paid to the needs of the populations, all the more as the travelling teams lack regularity in their visits. Buildings and materials too are worn out with the passage of time, without the possibility of being renovated. Due to the lack of funds, the supply of equipment and medicine becomes a problem. France, at the request of the governments, provides assistance (cooperation). It furnishes subventions to stabilize the situation, sends French staff and pays their salaries, in whole or in part. Towards 1980, twenty years after Independence, French military physicians and chemists are as numerous as they were 1939. In the course of the two following decades, the responsibilities are taken over by native personnel. At a time when the World Health Organization seeks to stimulate governments into action with the slogan "Health for everybody in the year 2000", health problems increase. A fall in enthusiasm and a lack of means and medicines are the reasons for a fresh proliferation of the great endemic diseases. Thus Lapeyssonie* is annoyed by the rise of Sleeping Sickness: "300 000 new cases every year". These diseases, said to be re-emergent, remind us that, on the one hand, in infectious pathology, no victory allows us to dispense with vigilance; on the other hand that, though vaccines remain the main remedy, individual and collective hygiene is indispensable for the prevention of diseases. Many microbes and transmitting insects have become resistant to classical products. New diseases arrive, with AIDS in the first rank, escorted by Tuberculosis. Whatever the future may hold, the present is extremely worrying. At the moment, the countries said to be developed are turning towards humanitarianism, towards non-governmental organizations. 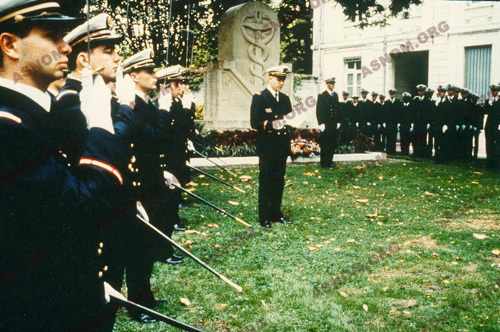 A young French doctor, a captain in the army, notices the fact and declares in 1996 : "The comprehensive treatment in depth that the Colonial Health Service used to provide has ended. In Europe, one now only demands occasional interventions depending on the circumstances and for humanitarian reasons". One may add "and for funds". But this is no time for nostalgic reflections. The Colonial Health Service did, at that time, the best that could be done. The final appraisal of its accomplishments provides indisputable proof of its efficacy. All over the world - and after the passage of several decades - one still awaits a health system that can replace it.